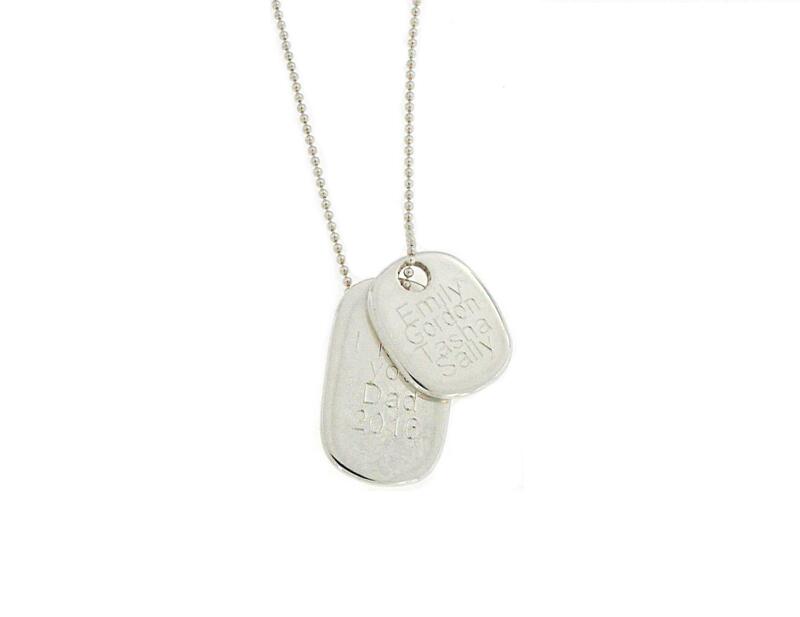 Set of two sterling silver tags and a 65cms slim ball chain. 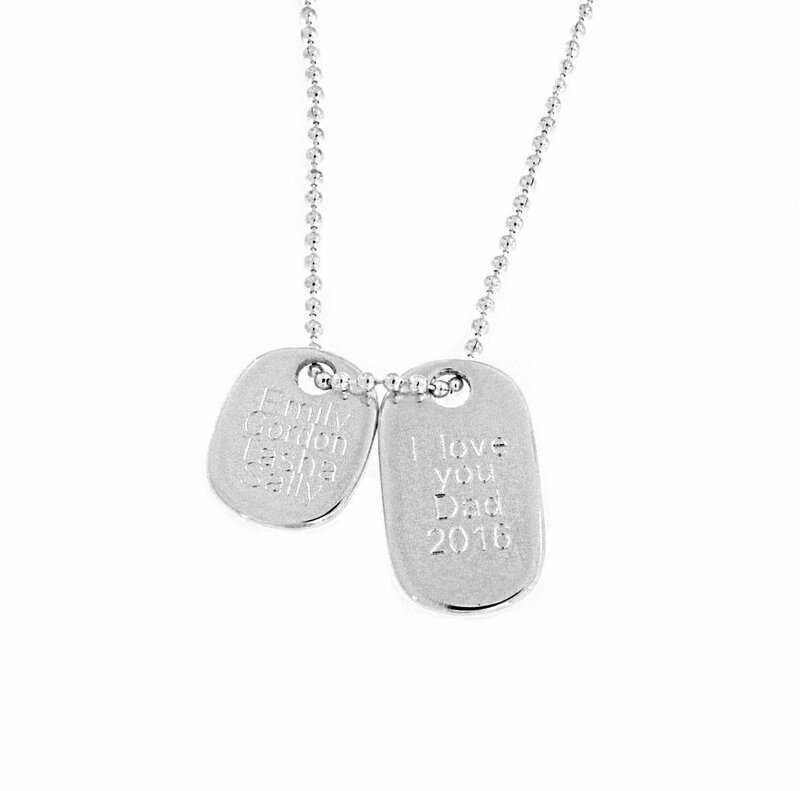 These tags are made in Australia by Coolabah Charms and are able to be engraved with the names dates and or words of your choice. 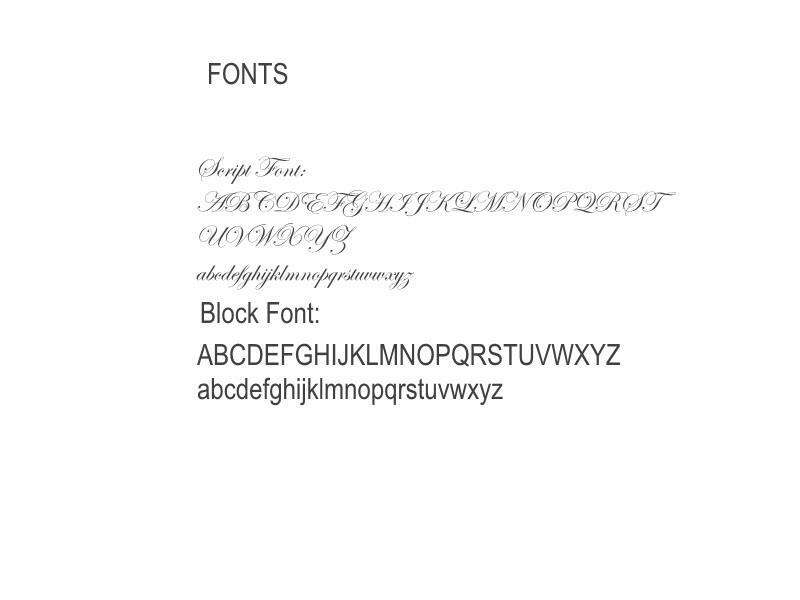 Font: there is two fonts available , the block font and the cursive font. Please see images. 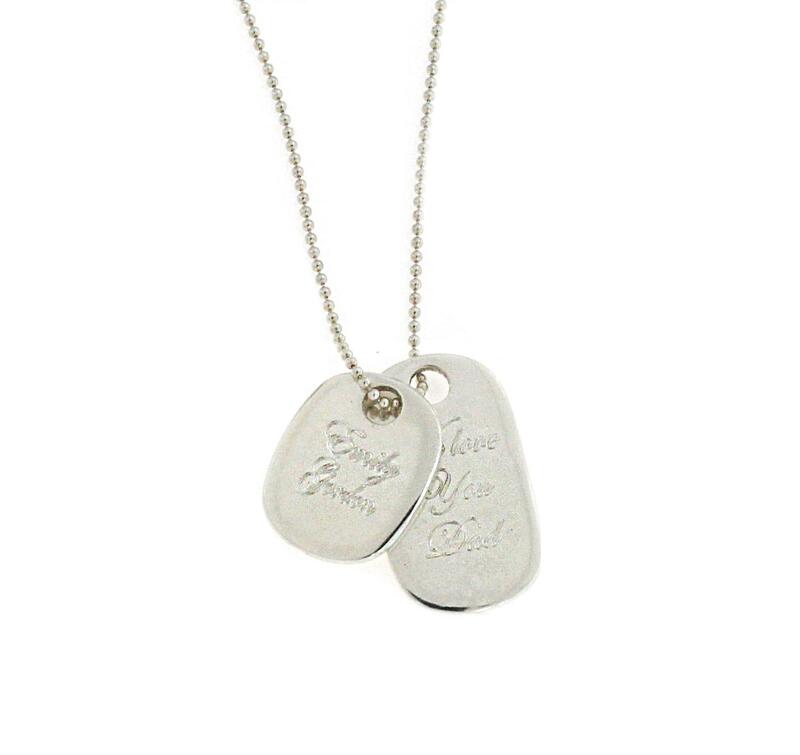 Please let us know what font you would like your special engraving in. Manufacturing time: these items take approx 5 working days to make. If you need by a special date please let us know on the 2nd/3rd page of the checkout in the additional comments area. Chains: you can choose a larger ball chain if you like from the drop down menu. This item does come with a fine 65cms ball chain. All items are made in Australia for you. We are committed to providing you a special peice of jewellery.